Fluffy as cotton balls, white as the moon’ - every south Indian remembers those fond descriptions of Idli that mom used to convince them to eat breakfast when they were kids. Indeed, that is how the perfect Idli must be too. 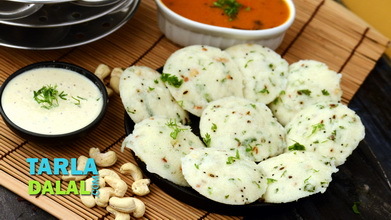 Grinding of batter and the preparation of Idli is an almost daily affair in south Indian homes. Being a safe, tasty and wholesome breakfast, it is preferred by people all over the world now. Choose good quality parboiled rice (ask for idli rice, which is small and stout) and urad for making idlis, as the colour and softness of the end product depends on it. The amount of water to be added when grinding the urad changes according to the quality of the dal, so keep adding little by little till the batter is soft and fluffy, and do not make it watery. After making the required idlis store the remaining batter in the fridge. It remains good for almost a week, and can be used to make Dosa, Uttapa and dainty appe as well. 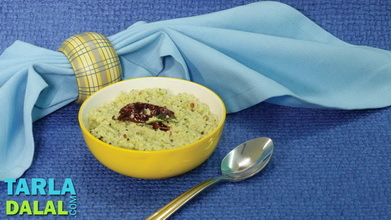 Combine the urad dal and fenugreek seeds and enough water in a deep bowl and mix well. Cover with a lid and keep aside to soak for 4 hours. 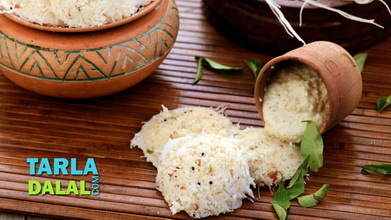 Combine the par-boiled rice and thick beaten rice and enough water in a deep bowl and mix well. Cover with a lid and keep aside to soak for 4 hours. Wash and drain the urad dal and fenugreek seeds and blend in a mixer to a smooth paste using approx. 1 cup of water. Transfer the mixture into a deep bowl and keep aside. Wash and drain the par-boiled rice and thick rice flakes and blend in a mixer to a slightly coarse paste using approx. 1½ cups of water. Add this mixture to the urad dal-fenugreek seeds mixture, add the salt and mix very well. Cover it with a lid and keep aside to ferment in a warm place for 12 hours. 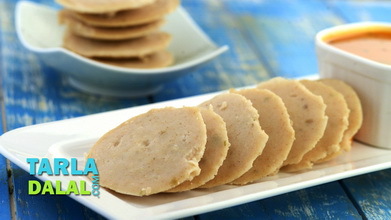 After fermentation, mix the batter well once again and pour spoonfuls of the batter into each of the greased idli moulds. Steam in an idli steamer for 10 to 12 minutes or till they are cooked. 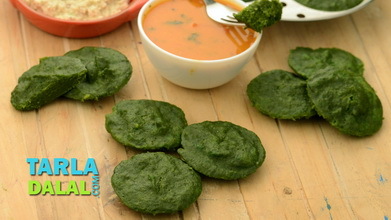 Once the idlis are cooked, cool them slightly. Dip a spoon in the water and using this spoon loosen the sides of idli and demould them. Keep aside. Repeat with the remaining batter to make more idlis. 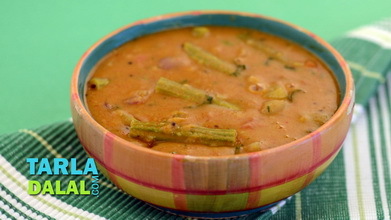 Serve hot with sambhar, coconut chutney and malgapodi. Hi. I have learned cooking with the help of your recipes. And today I can really cook well. Thank you so much. The recipes are easy and the result is very tasty. My family enjoys the dishes I cook for them with the recipes. 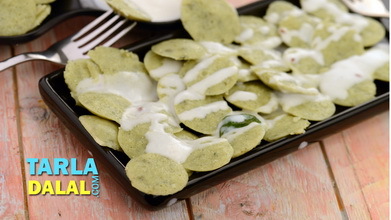 Tarla Dalal Hi Maneesha, Happy to know you liked the recipe. 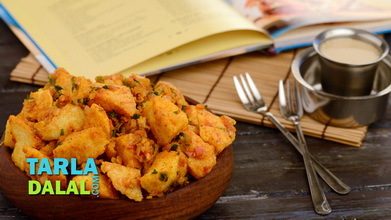 Do try more and more recipes and share with us your feedback. Happy Cooking!